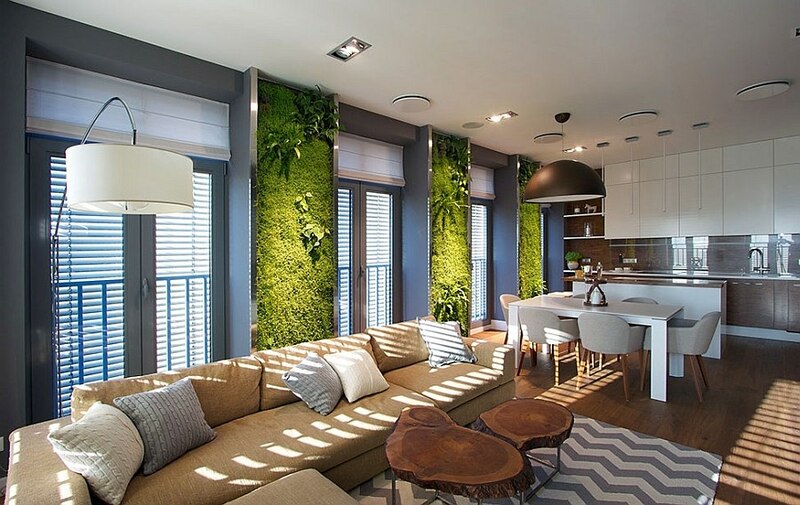 Ushering in a sense of sustainability and natural goodness in grand style is the fascinating apartment in Dnipropetrovsk, Ukraine that leaves you mesmerized with its inimitable vertical gardens. 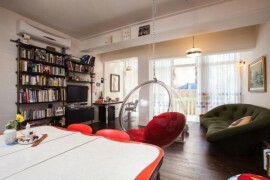 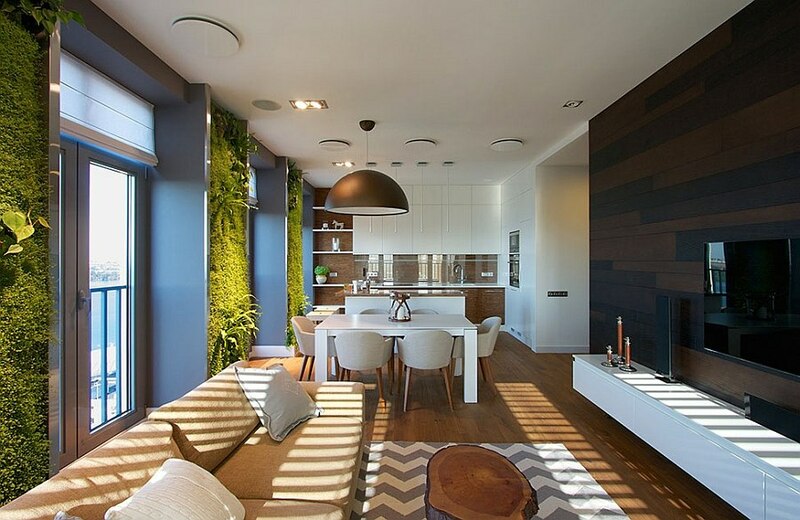 While most homeowners prefer a small courtyard or a lovely terrace garden that is connected visually with the interior, the creative architects from SVOYA Studio have given a young family with a kid a green indoor treat that steals the show! 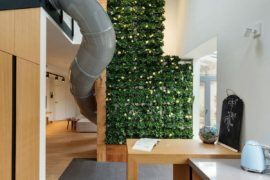 These audacious wall additions function using a ‘cycle of self-service’ and give the living area a snug, soothing ambiance. 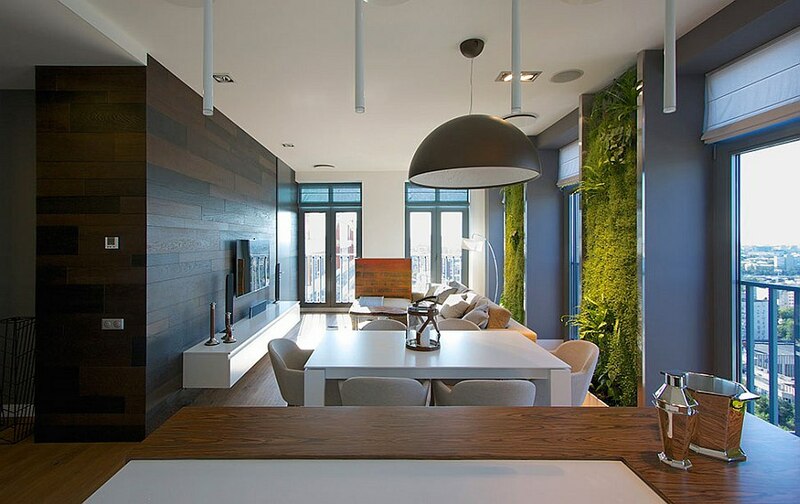 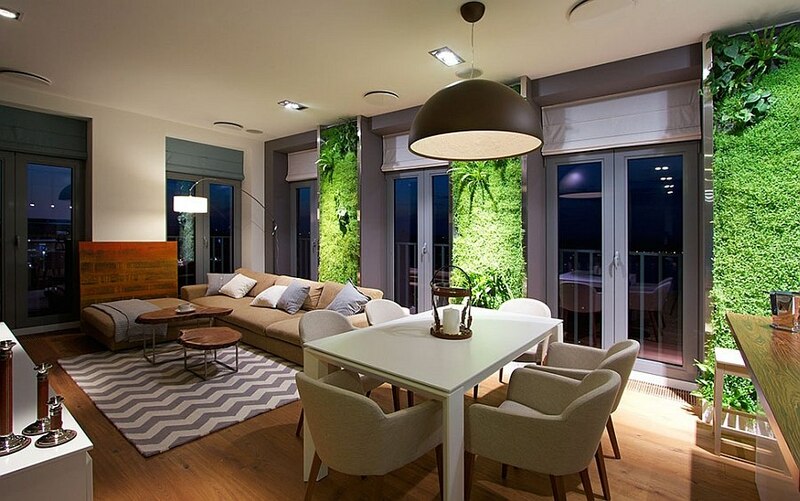 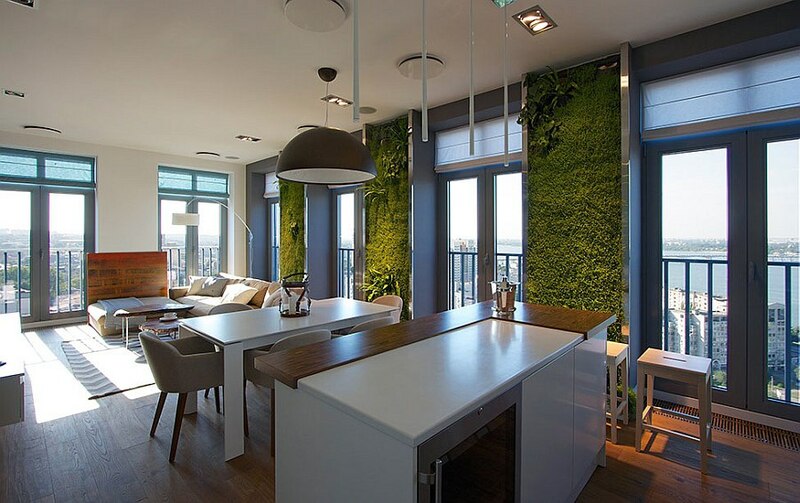 Combining with the scenic views of Dnipropetrovsk outside, these vertical gardens bring a refreshing eco-friendly aura to the urbane apartment. 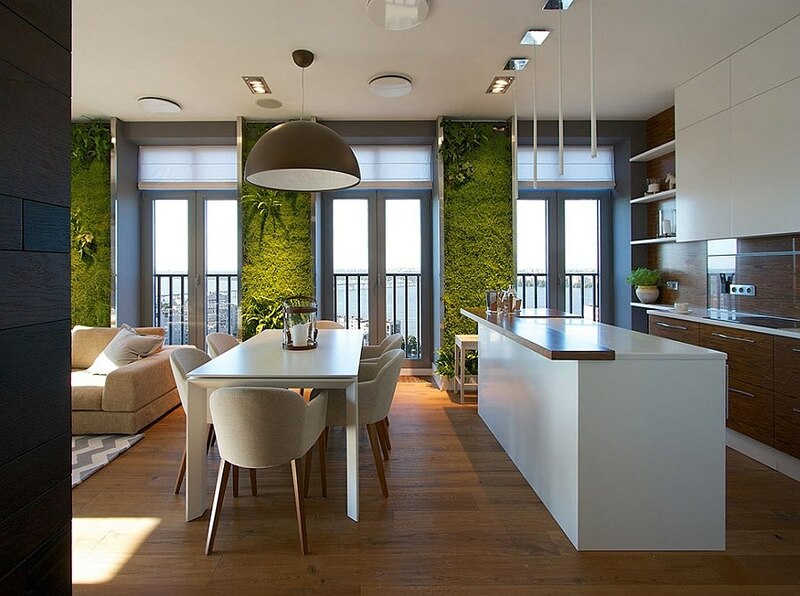 While the gorgeously-lit vertical gardens are the focal point of this trendy apartment, a neutral color palette, lovely blend of textures and exquisite decor enhance the overall impact of the indoor greenery. 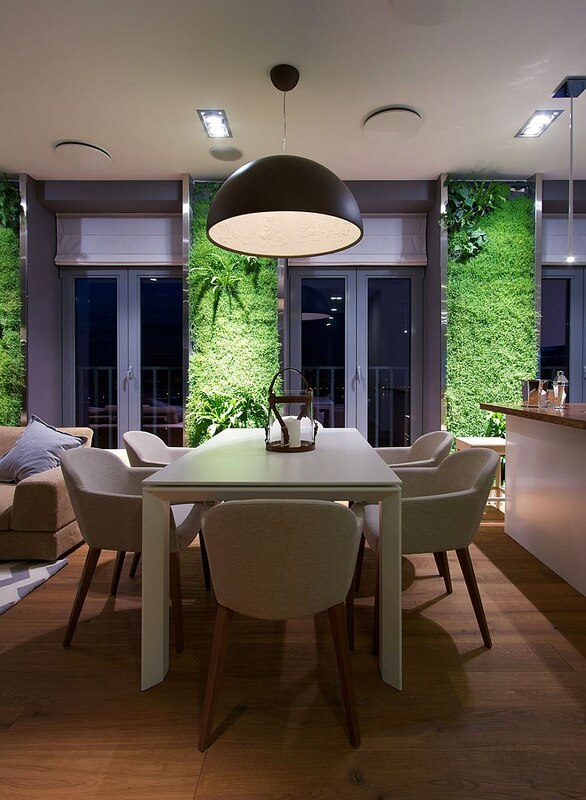 By keeping the rest of the living area as understated as possible, the focus remains firmly on the wall-mounted indoor gardens that look even more enchanting as natural light starts to fade away! 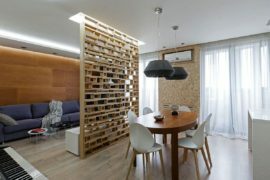 A compact living area, simple dining space with an oversized pendant light above and a contemporary kitchen in white make up the open-plan living area. 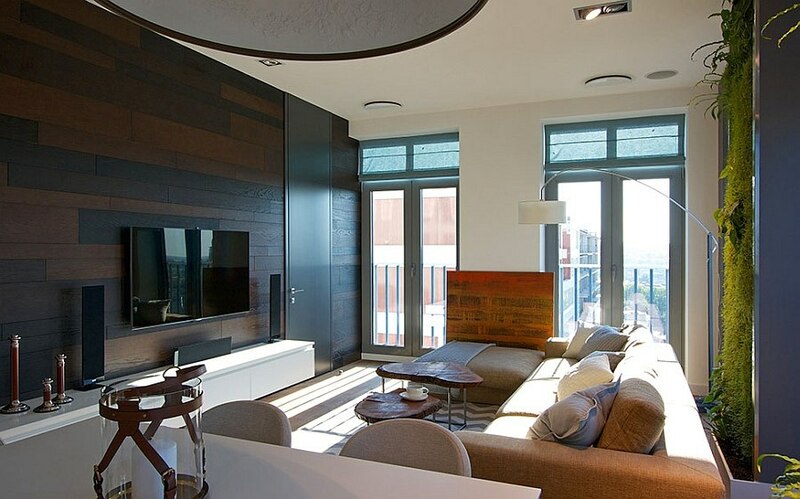 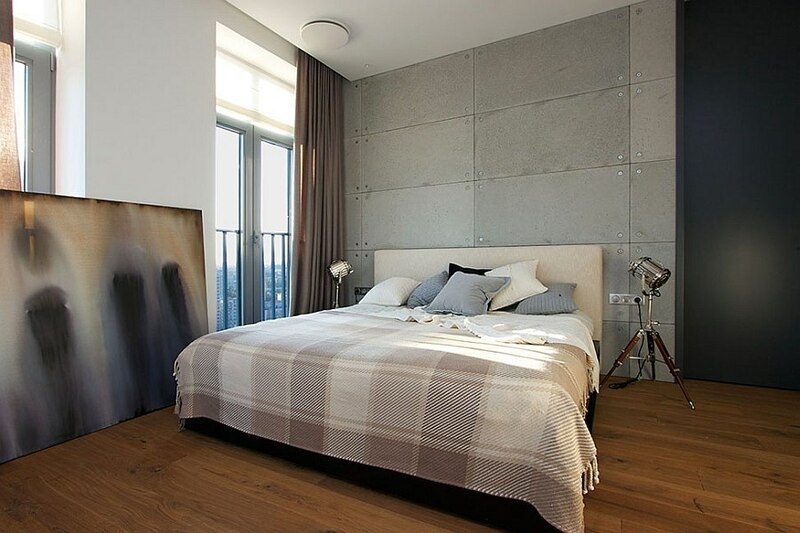 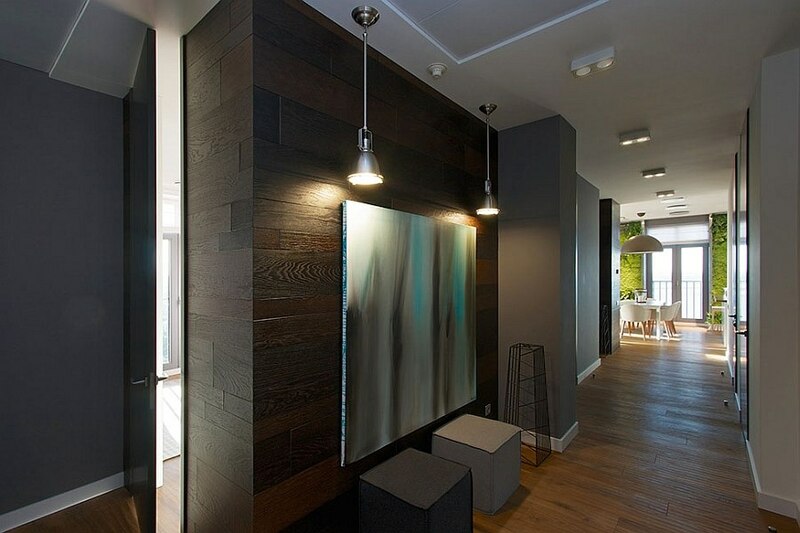 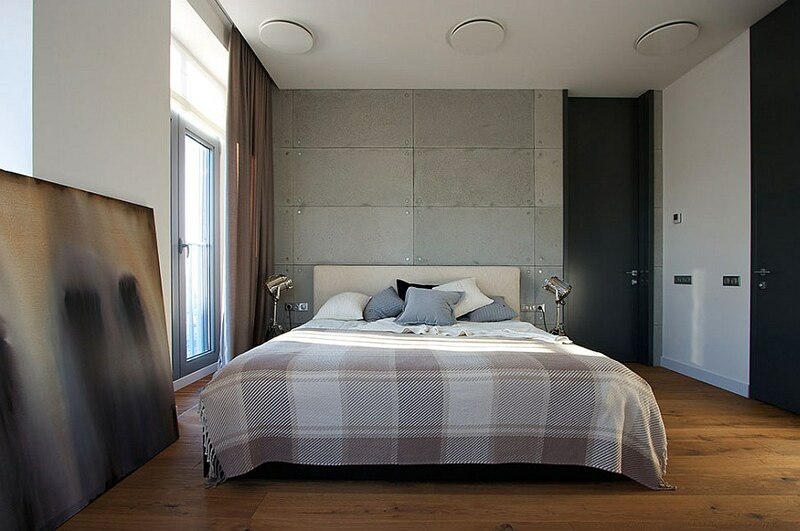 Wooden surfaces in different finishes are interwoven elegantly to bring a sense of warmth to the home. 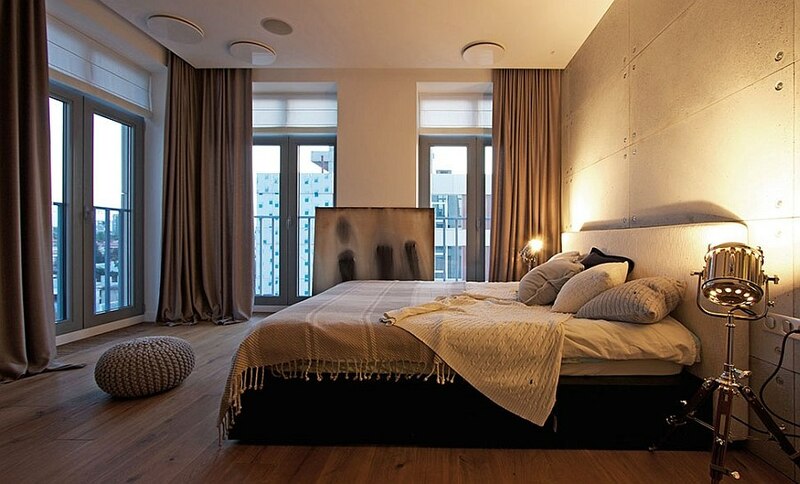 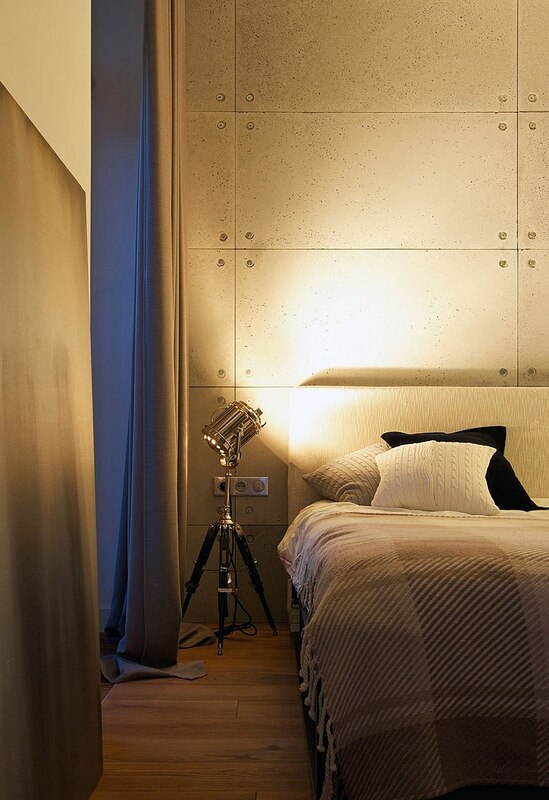 The master bedroom has a touch of industrial charm, and the tripod floor lamps make for unique bedside lighting additions that complement the backdrop perfectly. 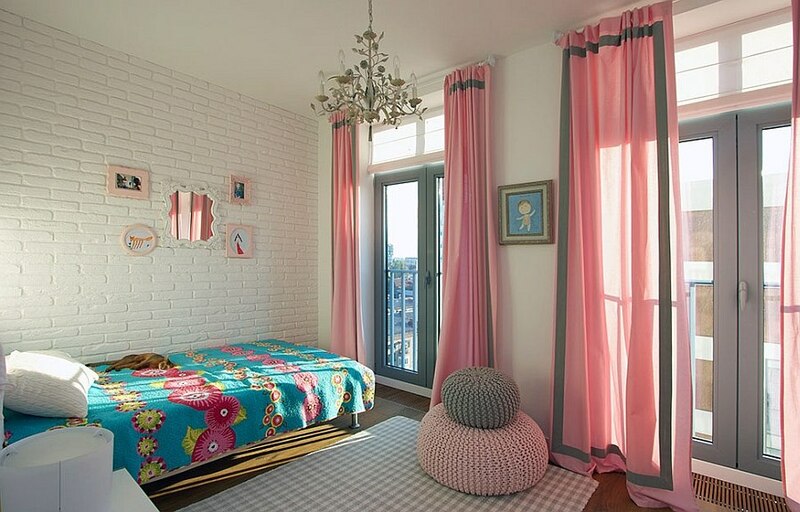 A kids’ bedroom in pink and grey with an exposed brick wall completes this inventive apartment that breaks the mold. 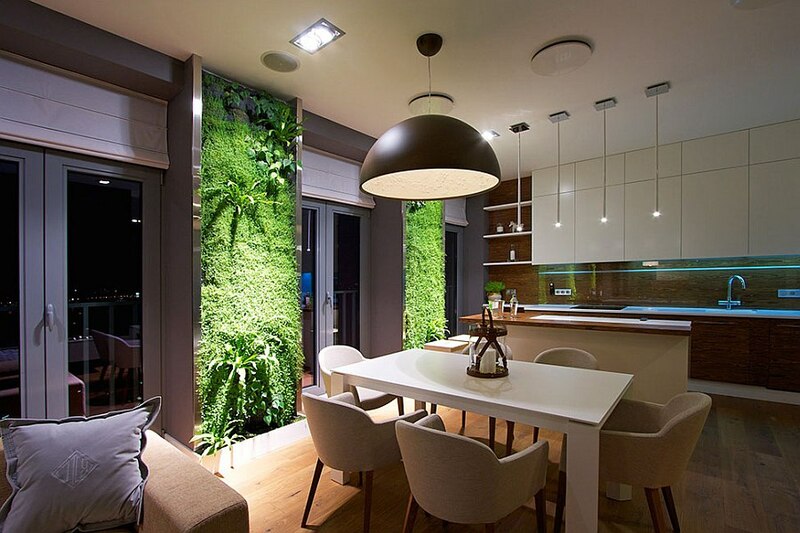 With contemporary homes in concrete jungles often becoming bland and monotonous settings that have little space for greenery, these vertical gardens redefine the way we look at ushering in a touch of nature. 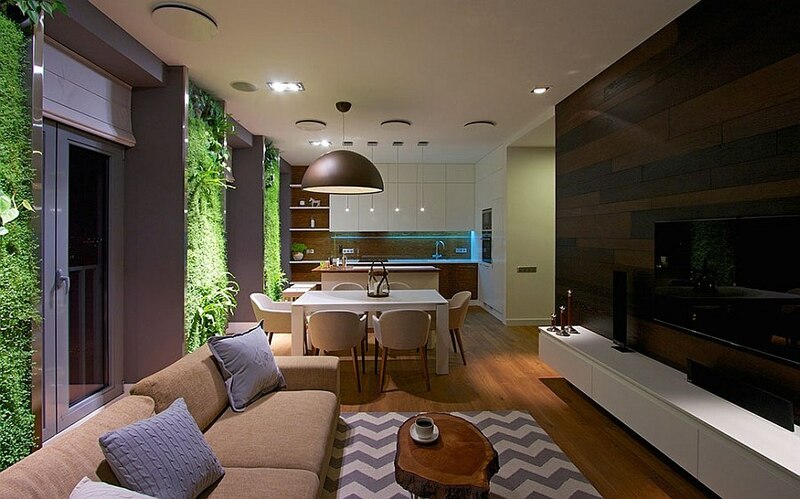 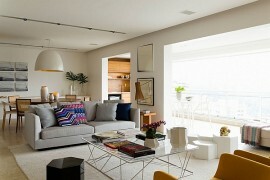 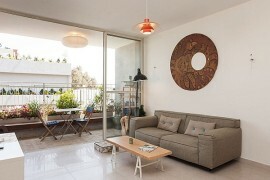 The potted plant in the corner is so out of style! 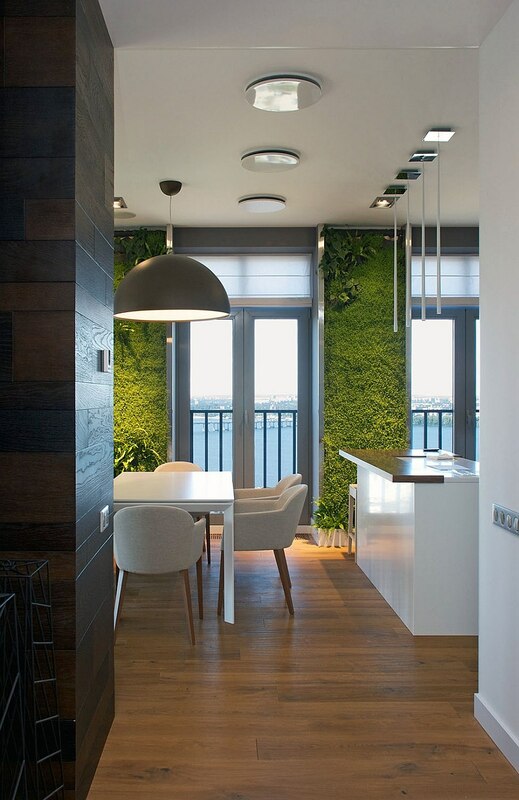 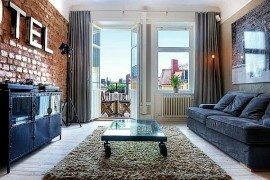 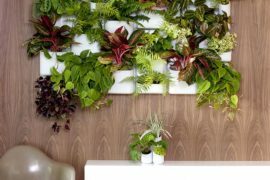 With these self-service gardens taking very little of your time or attention, maybe it is time to give your home a cool green living wall as well. 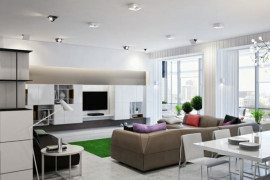 They sure promise to be an instant conversation starter next time you have someone over!